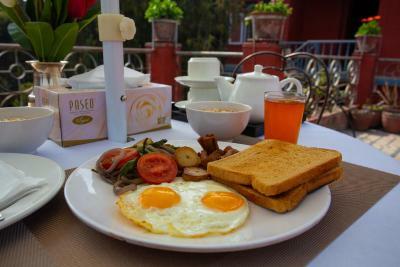 Quite place, easy access, caring staff and very good breakfast. 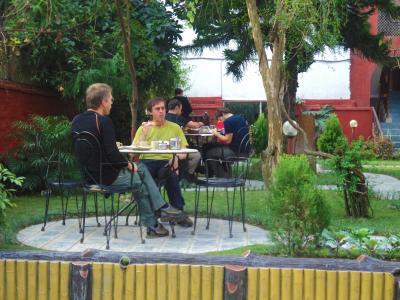 A quiet oasis with a beautiful garden restaurant but still just minutes away from the hustle and bustle of Thamel. 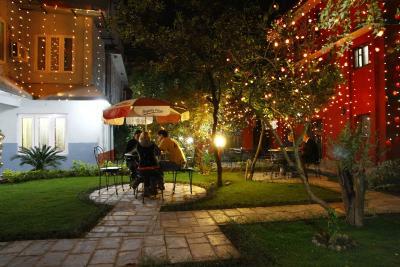 Restaurant is very well priced and I compared outside the hotel but it was still cheaper and more tranquil to eat there. 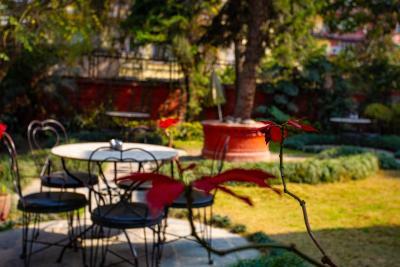 Friendly staff, hotel has a great location and a beautiful inside garden. Room for master bed was nice just above reception. Other rooms are quite good. 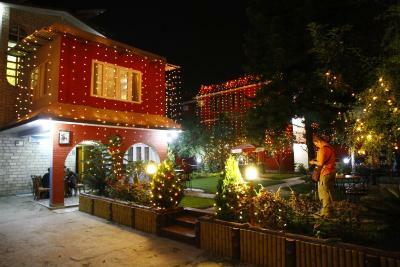 Staying at this place for second time (few days before/after trekking). 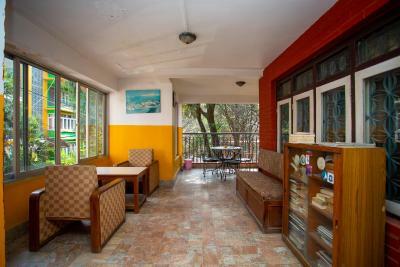 Really good location in very quite dead end, with close access to Thamel, tourist shops, Miracle Garden, tourist bus station, and few more sightseeing places. 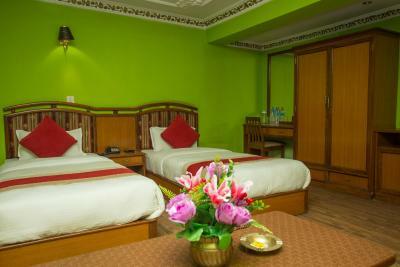 Rooms are big and clean, with all essential facilities. 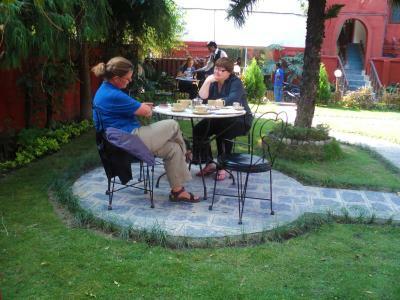 Garden & flowers makes hotel very cosy, air is clean and not-dusty (what is really important in Kathmandu). 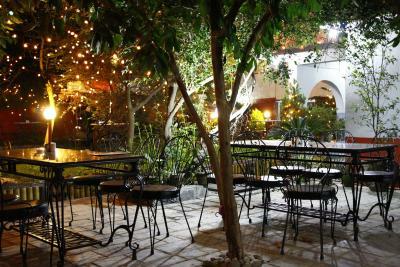 Restaurant is good, personnel - helpful and friendly. As well you can find guide and hire tour from them. 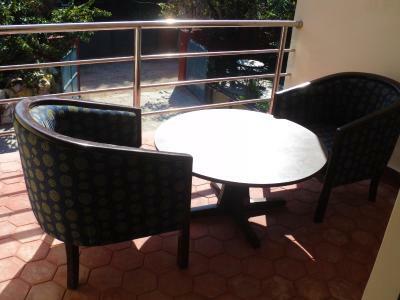 Hotel Blue Horizon This rating is a reflection of how the property compares to the industry standard when it comes to price, facilities and services available. It's based on a self-evaluation by the property. Use this rating to help choose your stay! 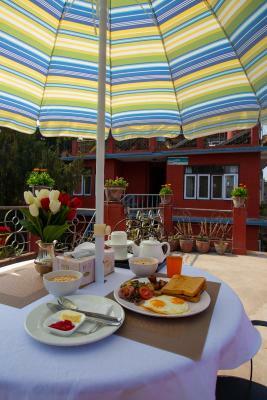 One of our best sellers in Kathmandu! 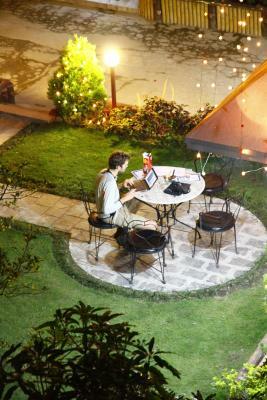 Offering free WiFi throughout the hotel, Hotel Blue Horizon is located in a peaceful Buddhist residential area. 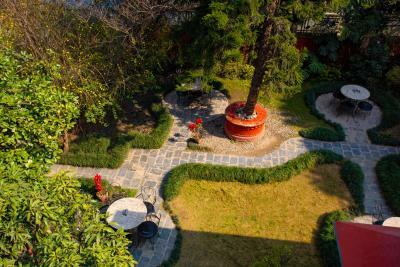 The property features a rooftop garden. 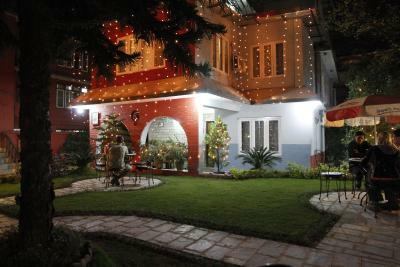 Decorated in shades of brown and beige, bright air-conditioned rooms feature wide windows and a TV. Private bathrooms have a bathtub and 24-hour hot water showers. 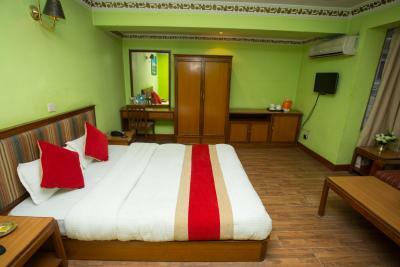 Hotel Blue Horizon is a 5-minute walk from the Green Line Tourist Bus Station and Standard Tourist Bus Stand. 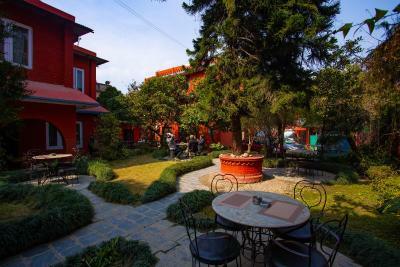 It is within 1.2 mi from Kathmandu Durbar Square and Swyambhunath Stupa Temples. 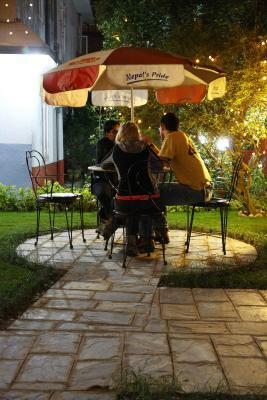 Guests can enjoy quiet moments at the library, which features a collection of international novels. 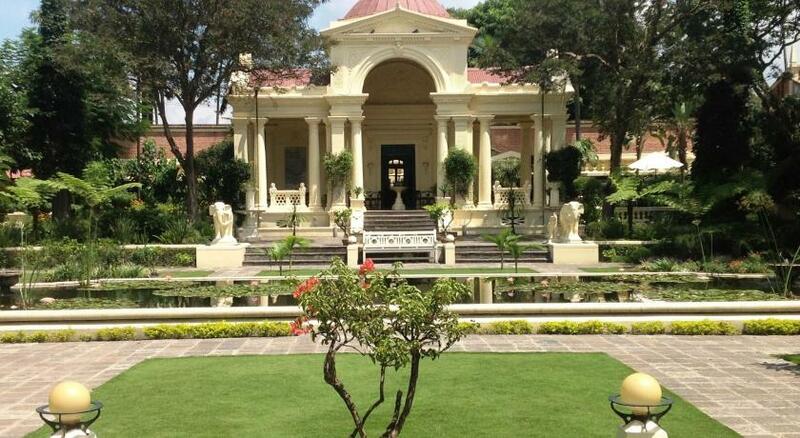 Staff at the tour desk can also arrange day trips, domestic flights and motorbike rentals. 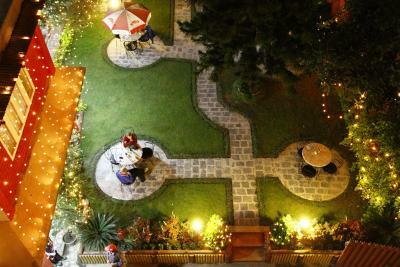 Fire and Ice restaurant serves Italian pizzas, while The Garden of Dreams offers international dishes. 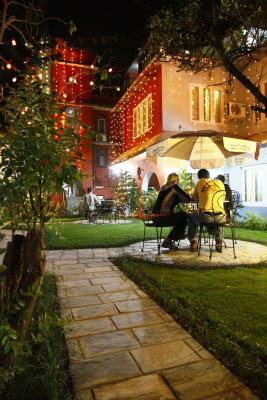 Dechenling Garden features a selection of Indian and Continental food. 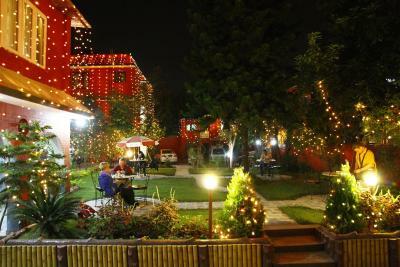 When would you like to stay at Hotel Blue Horizon? 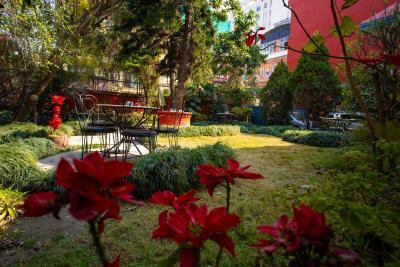 Enjoying views of the garden, air-conditioned rooms are equipped with wall-to-wall carpeted floors, a TV and hot-water showers. 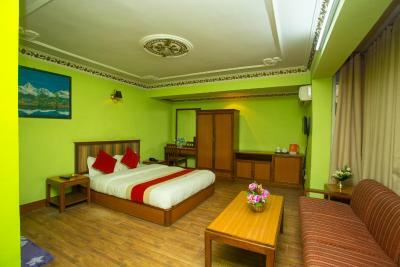 This double room features a hot tub, seating area and mini-bar. 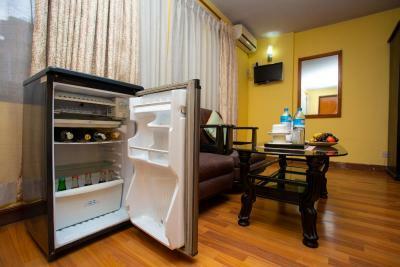 This family room has a mini-bar, tumble dryer and air conditioning. 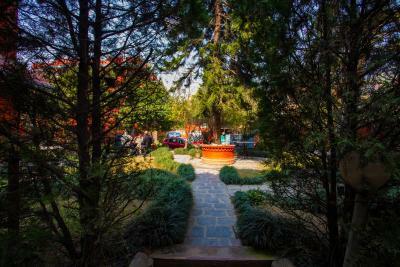 Hotel surroundings – This neighborhood is a great choice for travelers interested in shopping, hiking and food – Check location Great location - show map Guests loved walking around the neighborhood! House Rules Hotel Blue Horizon takes special requests – add in the next step! 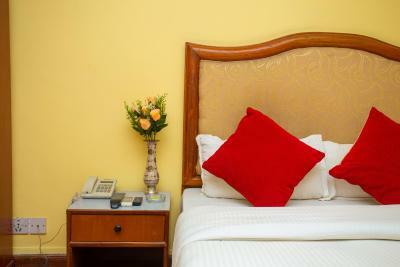 One older child or adult is charged USD 5 per person per night in an extra bed. Hotel Blue Horizon accepts these cards and reserves the right to temporarily hold an amount prior to arrival. 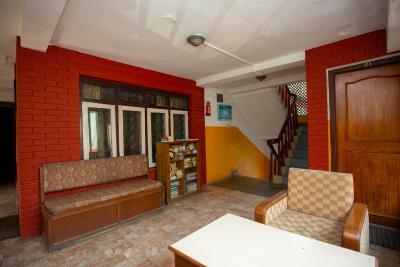 Please note that the property offers 1-way airport transfer for USD 6. The beds are old, we didn't have hot water. The toilet was not clean, the blankets and need was very Dusty. The location is good and quiet! 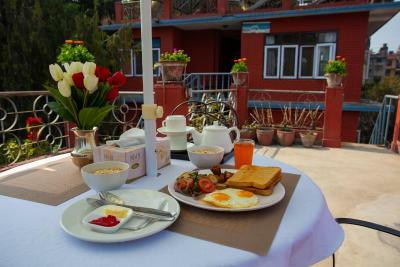 food is amazing besides the facilities. Internet speed is very slow. As I came in the tourist season this time, the price was a little higher than what I previously paid. The bathroom could have been cleaner. The staff were very helpful and helped me to print my visa for my return journey as I was running very late for the airport. 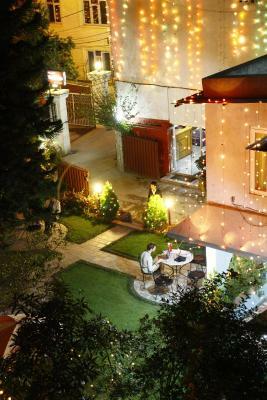 After three stays at this property, my favourite part is still the garden area and the terrace which has great views. There are squirrels running around and even a lovely dog which hangs around, named Lucy. The bed is wayyy too soft; we got back pains from sleeping one night on it. The blankets were a little dusty, and the water smelled rusty. Rooms were too big so bad insulation. They didnt even provide a bottle of water for the room and we had to pay extra for that. Some external construction noise disturbed the early morning sleep. 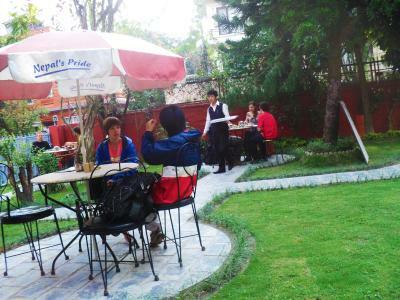 The place was entrally located in Thamel but mostly quiet. Rooms were clean and the bed comfortable. 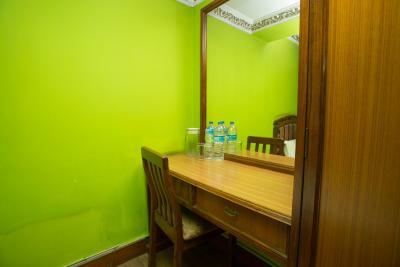 Toilet and the furniture was too old and the cleanliness of toilet was not as per my expectation..